Everyone knows that New York has a whole lot going for it, but one of its more underrated selling points is just how convenient it is for getting out and about and exploring the northeast corner of the United States. Surprisingly close to many of America's most famous cities, and with numerous car hire outlets, it's the ideal base for a road trip. Featuring beach retreats, fun-filled weekenders, epic drives and chilled out away days, here are our 20 best road trips from NYC. 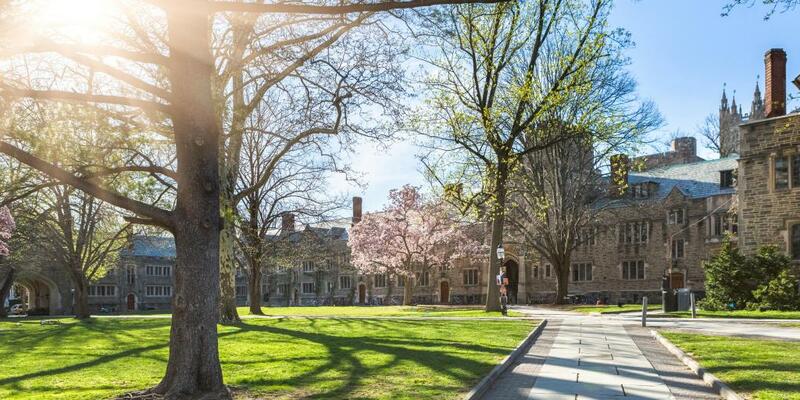 A mere 51 miles from the Big Apple, Princeton may be the shortest of our top 20 road trips from New York, but it packs a major punch for anyone looking for a one-day escape. Lending its name to the prestigious university for which it is most famous, it's less 'bars and buzz' than you might expect, and a lot more green and grand. The Gothic-esque university campus, which looks a little like something straight out of a Harry Potter film, is open for the public to walk around and can easily take a couple of hours once you've stopped for photos. Keep your eyes peeled for quirky carvings on the buildings! Around lunchtime, call in at Olive's Deli and Bakery to pick up picnic supplies, then set up camp in one of the city's many parks - we rate Marquand for the open space, or Princeton Community Park North for the walking trails. There's still plenty to see if the weather isn't on your side, including the University Arts Museum and the Morven Museum and Garden, where one of the signers of the Declaration of Independence lived. 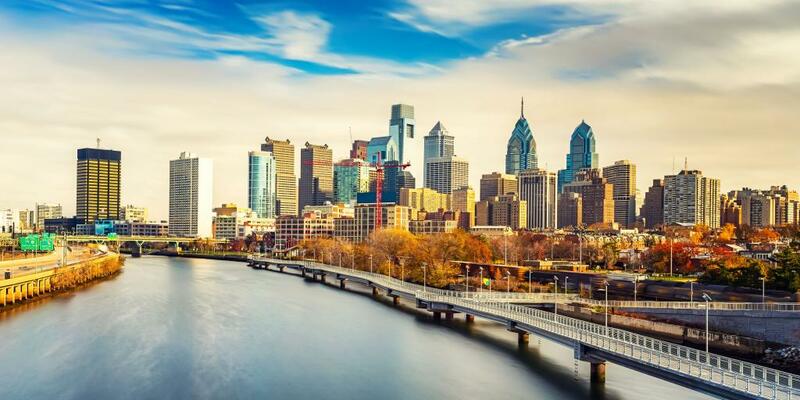 Far from 'just another big city,' the immensely likeable Philadelphia is one that seems to chart America through the ages, combining national history with the best of the present day. 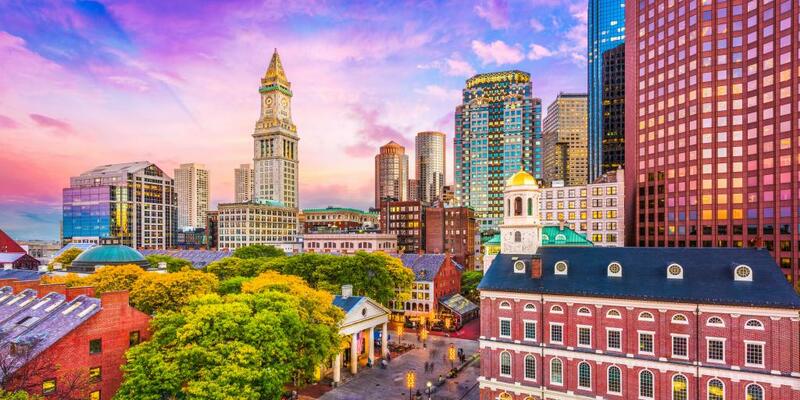 Having played a key role in events including the American Revolution, it's now a bustling modern metropolis that boasts some of the most interesting cultural and historical attractions in the country. What's more, the plethora of pretty parks and free museums make it an affordable choice for a road trip. The Philadelphia Museum of Art and the Independence Hall are prime choices if you only have a day, but the real star of the show is the notorious Eastern State Penitentiary, which once housed inmates including gangster Al Capone. Away from the big institutions, a plethora of pop-up events, street-theatres and more offbeat attractions such as the mosaic-covered Magic Gardens combine to give Philadelphia an irresistibly soulful edge. A genuine Philly cheese steak will surely top the list of foods to try while in this city, but also get stuck into another local sandwich speciality, a hoagie. For dinner order a tomato pie, a pizza where the sauce is slathered on after the toppings, then finish with an ice cream. When someone says the words 'American beach life,' there's a strong chance that you picture buffed and bronzed blondes running along the golden shores of California. But in actual fact, you don't have to head to the west coast for a slice of paradise, because a beach just two hours' drive from NYC has repeatedly been voted one of the best in the country. 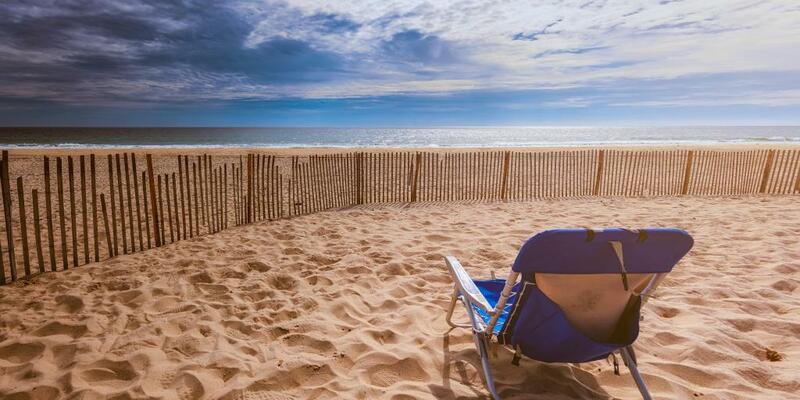 With soft white sands and aquamarine sea, and lined by mansions, a visit to Cooper's Beach, in Southampton, Long Island, is one of the best road trips from New York for sun seeking beach bums. Pass the day playing frisbee or diving into a good book, then drive back to the city, perhaps stopping for a slap up dinner at Tellers Chophouse, in Islip, which is housed in an old bank. Parking in Southampton is on a pay-by-the-day basis, but does fill up early so leave New York at the crack of dawn (at least you'll bag the best spots on the beach) and mentally prepare yourself now for the fact it'll set you back $50. This is the Hamptons, darling. 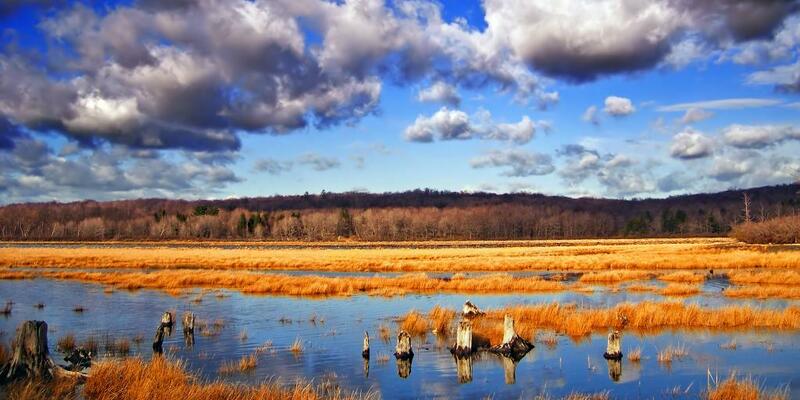 There are certainly quicker ways to get from New York to Kent, Connecticut, but a road trip through Stamford and up along Route 7 wins for the prettier drive, the grassy countryside smells and the many ice cream stops. Stop off for lunch anywhere that catches your eye, but be sure to order yourself a steamed cheeseburger, a Connecticut institution that you'll struggle to find done well outside of the state. When you first approach Kent, drive straight through it and up to the Kent Falls State Park. Here, you'll be able to take the relatively easy hike up to see the waterfalls, which drop 250 feet in less than a quarter of a mile. With an appetite built up, head back to town for some dinner in a cosy pub and a browse of the local shops; the House of Books is a must for bookworms, while the Kent Coffee and Chocolate Company's brownies will make you want to stay here forever. To get back to the city, the toll road should be quicker. If time spent in New York has reminded you that big cities really aren't your jam, a road trip to somewhere slightly more scenic and outdoorsy may be just the antidote you're after. Arguably one of the region's best-kept secrets, they're not the tallest or most showy of mountain ranges, but when it comes to their diversity and proximity to the Big Apple, they more than make up for what they lack in drama. 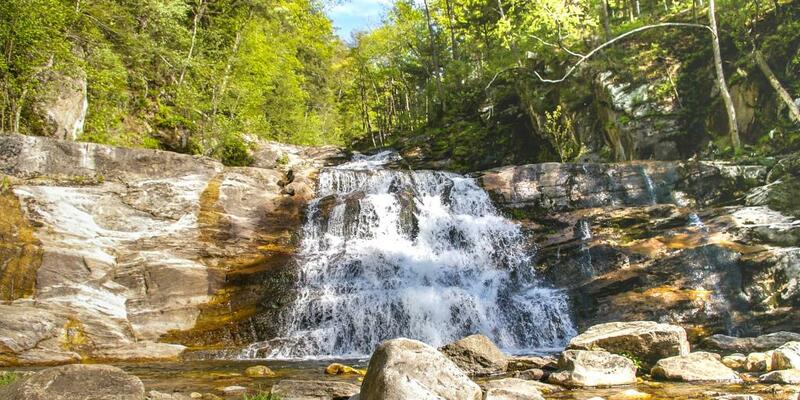 Aiming for - or even staying in, if you've got a couple of days - the former railroad town of Jim Thorpe will give you access to a range of outdoor activities, including white-water rafting, hiking the Glen Onoko Falls trail, and the Lehigh Gorge Scenic Railway. Once you feel suitably re-connected with nature, hunker down in the homely Marion Hose Bar, which serves hearty dishes and an interesting selection of local beers. You can probably guess from its rather unsubtle name that the 'Brandywine Valley,' which follows the Brandywine Creek across the border between Pennsylvania and Delaware, is home to a fair few wineries and breweries. But this particular road trip actually has more to do with botany than booze. About two hours' drive from New York, the valley was once the playground of America's aristocracy - particularly the du Pont dynasty - and is now speckled with the remnants of those gilded lives, with whooping great mansions and luscious landscaped gardens. 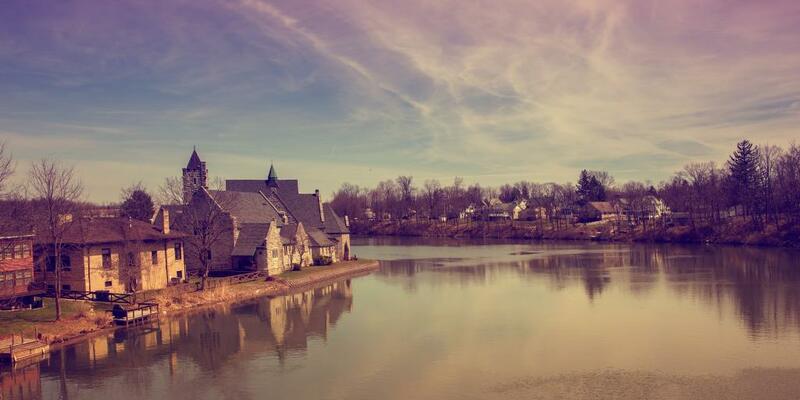 Start your trip around the valley at the Hagley Museum, which occupies the site of the original du Pont gunpowder yards and includes their first family home, and should give you a better understanding of the sites to come. Next, move along to the jaw-dropping Nemours Estate, a 77-room mansion complete with its own bowling alley, a collection of classic cars and the largest French gardens in the whole of North America. 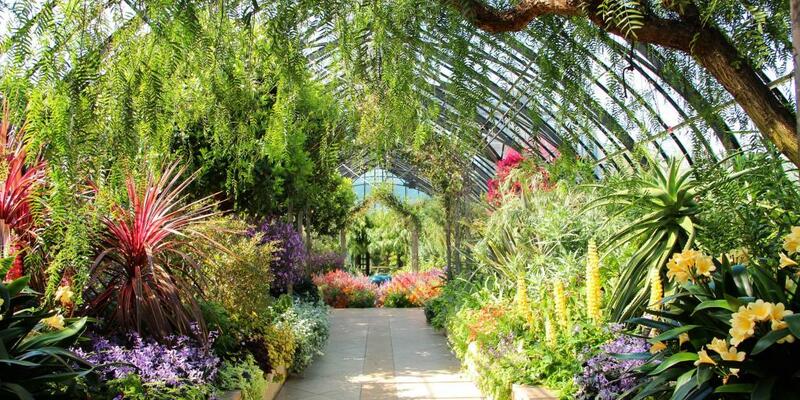 With your horticultural itch tickled at Nemours, make the next stop Longwood Gardens, which are made up of elaborate sculptured gardens, four conservatories and acre-upon-acre of meadows and woodlands. Just outside of New York, the Hudson Valley is as leafy and lovely as it is handily close - and a road trip is the simplest way tour it. Although it's best spread over a couple of days, it is possible to do some of the most important sights and be back to the 'city that never sleeps' in time for nightfall. 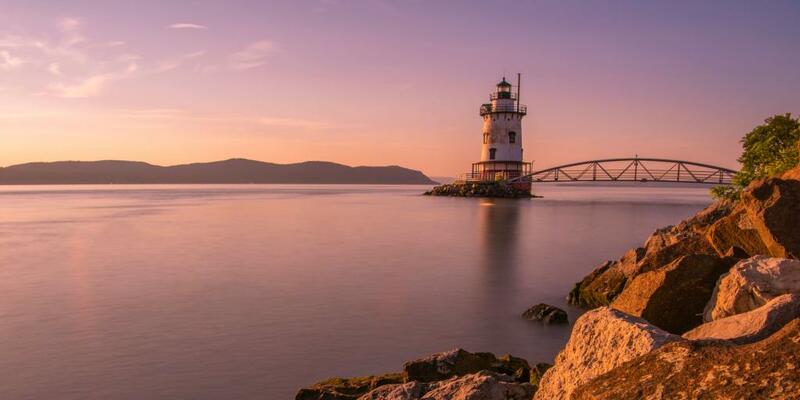 Make your first stop along the way the village of Nyack, a laid-back town characterised by quaint old houses, cool boutiques, art galleries and trendy cafes. Park up, grab a coffee and pretend you live here for an hour or so. Next, it's on to Bear Mountain State Park, where you can take the winding Perkins Memorial Drive to the top of the mountain. Here, you'll be able to enjoy glorious views over the Hudson River, and visit the Perkins Memorial Tower, from which you can see Manhattan on a clear day. Unfortunately, the road to the top is closed between late December and early April, so try to schedule your trip outside of these dates if possible. Travelling onward along the western shore of the Hudson River, stop for lunch in the hipster haven of Kingston, before heading north, crossing the river and journeying down to Rhinebeck, one of the most historically dense towns in this region. Now looping back towards New York, stop off at Hyde Park to call in at the Eleanor Roosevelt National Historic Site, the private residence of the former First Lady. A little further on and you'll come to Kykuit, a sprawling mansion that was home to four generations of the Rockefeller family and is now a museum; the nearby Sleepy Hollow cemetery is the final resting place of some of the biggest names of the past in U.S. society. Distance from NYC: 218 as a round trip. If you're a Friends fan, you'll know Atlantic City as the place that the gang tried to visit before Phoebe's water unexpectedly broke and they had to make a swift detour to the hospital. What they would have discovered, had they ever made it, is a four-mile boardwalk lined with fairground rides, bars and casinos, as well as swimming-friendly beaches and Lucy the Elephant, a six storey building designed to look just like the wild animal. Sometimes referred to as the Vegas of the east coast, the area is also famous for its shows, with big names in music, boxing matches, and comedy concerts all on the line-up. Admittedly this seaside city gained a slightly seedy reputation over the years as its popularity fell, but don't let that put you off, as it's experienced somewhat of a rejuvenation in recent times, with millions of dollars being ploughed into it and even more investment lined up. 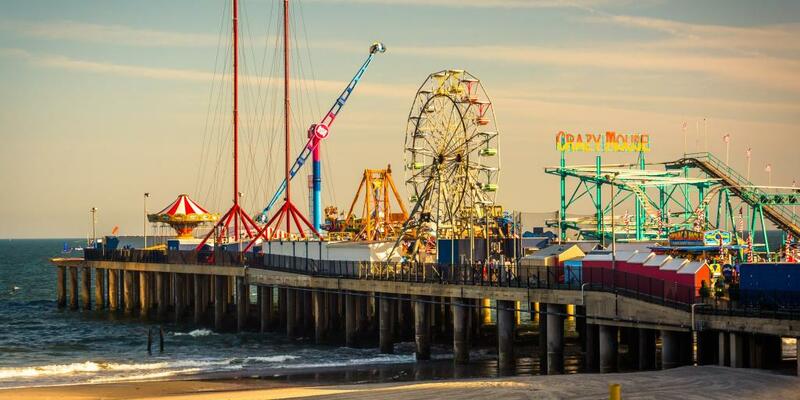 Just a couple of hours' drive from New York, Atlantic City is now a great choice for a mid-summer weekend escape, or even just a day trip - no, it's not the classiest place on earth, but it's sure a lot of fun. It's not unfair to claim that the 'to do' list in Cooperstown, New York State, is a tad… eclectic. 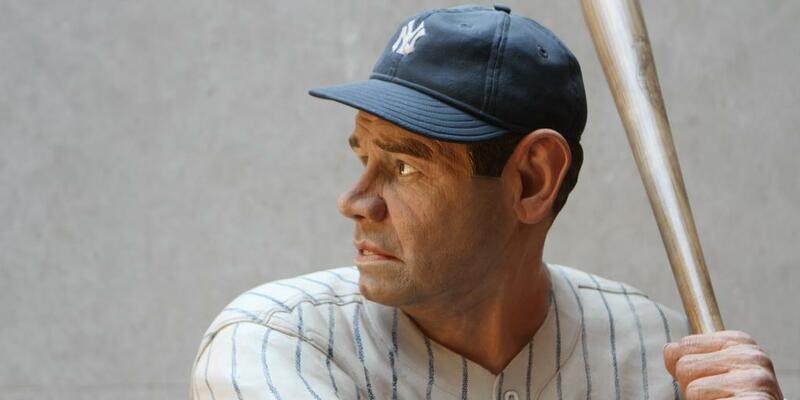 Most often sought out for its Baseball Hall of Fame, there's also an opera house, a grand mansion, and a Farmers' Museum, which simulates life on a 19th-century farm, complete with costumes. Add to that a lake offering waterskiing and the Indian Burial Ground, and you can see what we mean. But it's the Fly Creek Cider Mill & Orchard that will be the standout choice for any fans of food and drink. Having been operating for more than 160 years, they know a thing or two about making cider (essentially apple juice in America) and hard cider (that's the alcoholic one). Their store, the Mill Marketplace holds daily free tastings of speciality foods made onsite, including fudge, cheeses, dips and salsas. All in all, it's just under a four-hour drive from New York City to Cooperstown, and so not ideal as a day trip, but you shouldn't need much more than a weekend to get a good feel for the town. Plus, stay the night and you'll be able to delve into the local brewery scene - bonus! 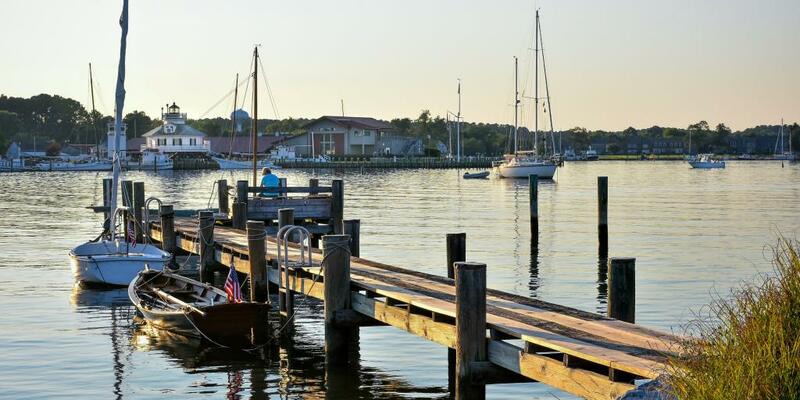 If you were a filthy rich New York city-slicker seeking a waterside bolthole, then St Michaels, Maryland, would do more than fit the bill. Pretty colonial houses, white-picket fences and perfectly manicured lawns combine with U.S. flags and a spacious marina to create the archetypal all-American town, less than four hours' drive from the grime of the big city. With an early start, you'll have the rest of the day to learn about the town's shipbuilding heritage, visit small-batch distilleries, browse cute gift shops or simply relax on the water. Later, as you watch the sun go down over the harbour, equip yourself with an Orange Crush, this area's signature cocktail, made by blending orange juice, vodka, triple sec and Sprite or soda water. Once that's all taken care of, there's fresh locally-caught crab to feast on - you'll find it cooked in any which way here, including with nachos. 11. 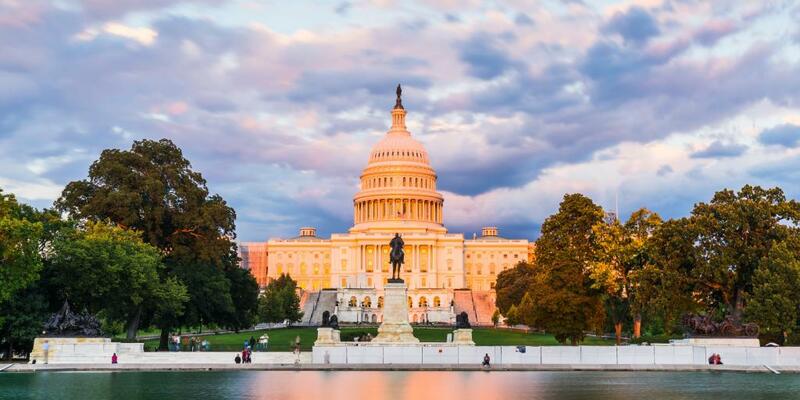 The nation's capital: Washington, D.C.
To take a road trip from New York to Washington, D.C. is - for a tourist with only a few days to spare at least - to swap grit for grandeur. The I-95 down to Washington isn't the most exciting of roads, but there are a few cool detours to make along the road - our pick would be exploring the Brandywine Valley, near Wilmington, Delaware. So what to do when you get there? Well, the jewel in the crown of D.C. - as it is known to locals - is The Mall, a two-mile strip where it's easy to spend an entire day. Capped at either end by the Lincoln Memorial and the U.S. Capitol, this is where presidents are inaugurated and great speeches have been made, and it's home to a number of national memorials. Also here is the majority of the Smithsonian complex, which comprises of 11 free museums, plus a further six across the city and the Washington D.C. zoo. Its newest addition, the National Museum of African American History and Culture, is particularly strong, but you'll need to get tickets online way in advance. Be sure to have a walk around the nearby oldy-worldy Georgetown neighbourhood, where the country's political movers and shakers live and which boats numerous beautiful buildings, as well as the prestigious university. Parking in Washington, D.C. is notoriously difficult, particularly on weekdays, but there are a number of public car parks around the city. A cheaper option is to choose a Metro station with parking and get into the city that way. Known by some as 'Chocolatetown' and by others as the 'sweetest place on earth,' Hershey, in Pennsylvania, makes for the dream weekend retreat for those with a sweet tooth. Once the site of the iconic Hershey Chocolate Factory, it was purpose-built by the company's founder to provide everything its workers could ever need - there's the Hershey Stadium, the Hershey Public Library, and even the Hershey Milton School. Visit the Chocolate World factory-shop to learn about the bean-to-bar process and make your own chocolate bar, then embrace your inner kid on the theme park rides at Hersheypark. For a town obsessed with the sweet stuff there are some surprisingly classy eats in Hershey, with the seafood dishes at The Circular a standout. That said, most of the desserts around here tend to have one ingredient in common - you can probably guess what it is. 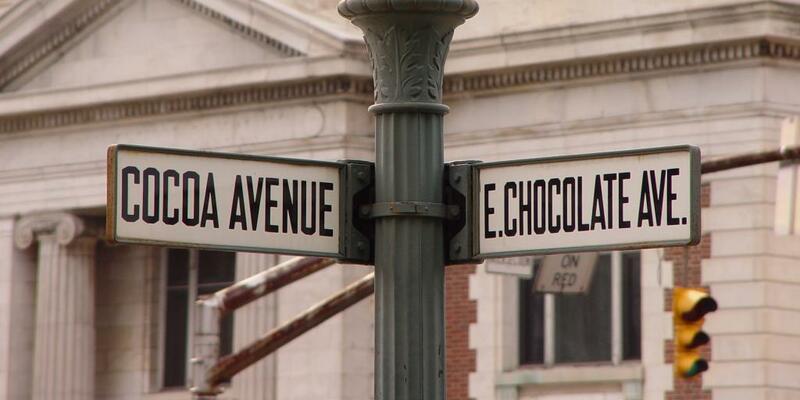 There are good hotels and guesthouses in Hershey itself, but if staying on Chocolate Avenue seems slightly too over the top for you, the state capital Harrisburg is a convenient 15 miles away. Passing through four states, if you count New York and Vermont, a road trip from NYC to Killington offers exciting cities like Hartford and Springfield to stop off in, numerous stunning state parks to discover, and more roadside diners than you can shake a stick at. And when you do arrive, there's something even better waiting for you: the east's biggest - and we'd say best - ski resort. 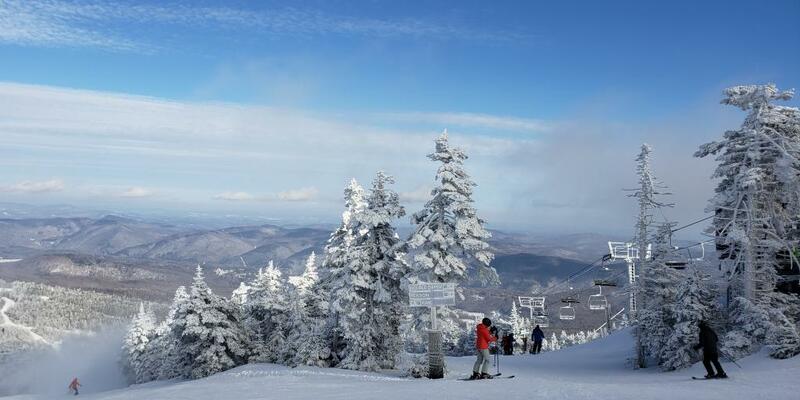 Ideally suited to mixed-ability groups, Killington has over 150 runs; the 28 easy slopes are more than enough for any beginner, while an impressive 65 advanced-expert trails will keep those feeling a tad more daring on their toes, or their bums. And while the resort's 'snow-guarantee' programme can't actually promise you a healthy dose of the white stuff, it does mean that if it's looking questionable and you exchange your pass by 10 am, then you'll get a voucher to return when the weather's better. Rumour has it that the Christmas classic It's A Wonderful Life is based on the town of Seneca Falls, and walking through it, you can certainly see its charm. A former mill town characterised by wide streets, old houses and antiquated storefronts, it sits on the edge of Seneca Lake, the largest of the Finger Lakes. Adding to its appeal is the fact that the fertile lands around it are dotted with vineyards, most reachable by bike. Far from stuck in the past, however, the town has been at the centre of many progressive social movements, most notably as a centre for Women's Rights; it was here, in 1848, that the USA's first ever Women's Rights Convention was held. Today, the Women's Rights National Historical Park tells the story of this struggle - don't skip it. Seneca Falls is also conveniently located for a visit to the Montezuma National Wildlife Refuge, a haven for migratory birds, which even the most unenthusiastic of spotters will get sucked into. The carpet of colours that descends on New England in the fall is one of northeast America's most recognisable images, and Franconia Notch State Park, about a five and a half hour drive from New York, is where to see it in real life. Part of the White Mountains area, the park features numerous hiking trails and cycle routes set amidst thick forest, gorges and waterfalls. It's nigh-on impossible not to be awed by nature in a place like this. If you're less mobile, or even just not so keen on the hiking, you can still enjoy a good few hours driving the various roads that cut through the park, stopping off as you wish. The Cannon Mountain Aerial Tramway will ferry you to the peak of Cannon Mountain, no walking required! We recommend spending the night in Lincoln, purely for the fact that you'll be able to start the next day with a stack of old-school deliciousness at Flapjack's Pancake House; you'll probably have to wait for a table, but every breakfast you've ever had will pale in comparison. 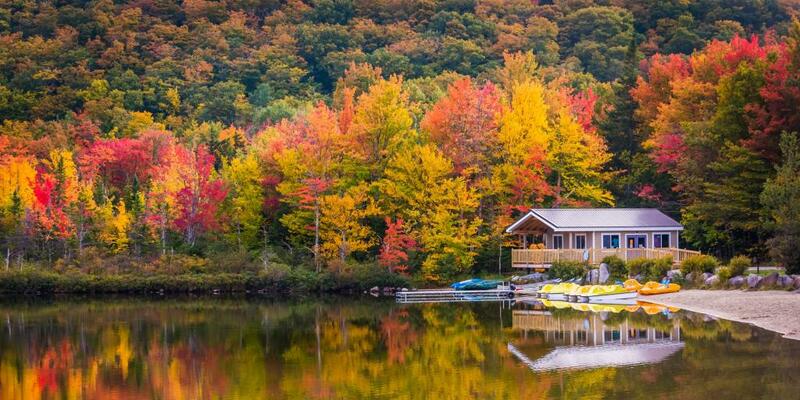 When to visit: In the fall, duh. Just look at it! To bomb it from NYC to Montreal could theoretically be done in about seven hours, but we'd suggest taking it slow and steady, making the most of the journey with a couple of stops. Our plan of action? Hit up a couple of the smaller towns in the Hudson Valley, have lunch in Albany, take a leg stretch at Lake George, and then onward and upwards to Canada. You'll need your passport and potentially a visa, depending on what nationality you are, to complete this road trip; expect to spend about 40 minutes crossing the border, and from there it's about another 40 or so minutes to Montreal. By the time you arrive in the city it will most likely be evening, so dump your car at the hotel and scoot over to the 'Aura' light show that illuminates the Notre-Dame Basilica, then grab poutine for dinner. 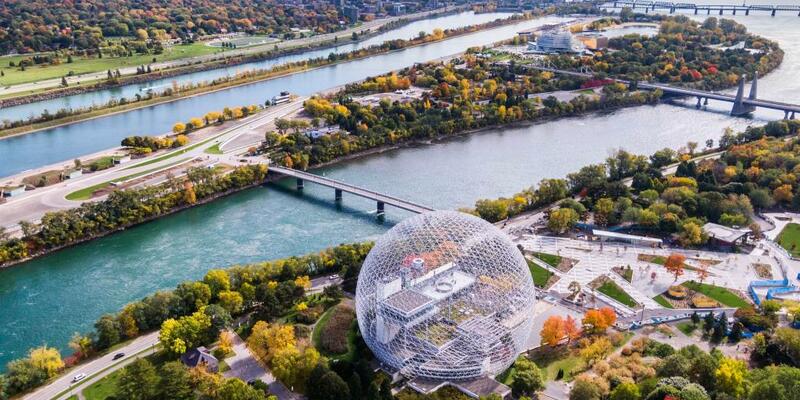 The next day, explore the best that this city has to offer, including the view from the Mount Royal lookout, a number of museums, and the Old Montreal district, with its cobbled streets and numerous cafes. If you've got limited time to spare but still want to tick off one of North America's greatest natural wonders, then a road trip to see Niagara Falls may be the answer. Although the view from the Canadian side is the one you'll see on all the postcards, you shouldn't let that put you off staying in the States. In fact, it comes with its own perks. The U.S. side is cheaper, you'll be able to take the iconic Maid of the Mist boat tour, and to get close enough to practically shower in the falls - whether you want to or not - via the Cave of the Winds. Be sure to bring your passport along so that you can walk across the Rainbow Bridge, which links the two countries. Approximately a seven to eight hour drive from New York City, it's best to make a whole weekend of this trip, so book yourself into a plush hotel and enjoy the escape. 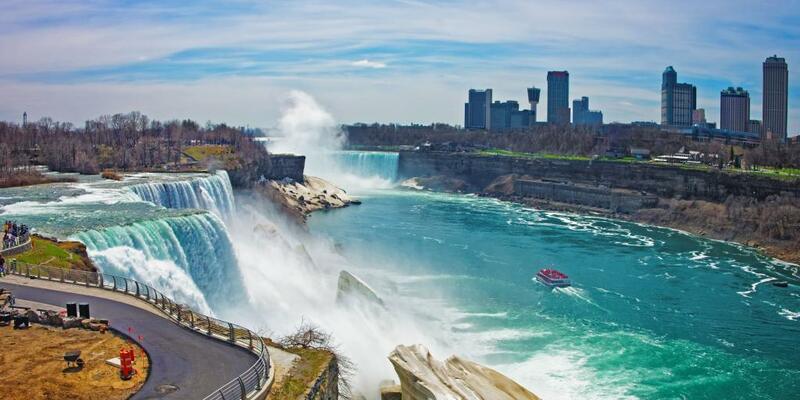 The falls aren't all there is to do in this area, and you can easily spend a few days here hiking, taking the Niagara Falls Wine Tour, visiting a butterfly conservatory or delving into one of the city's shopping malls. Founded by the notoriously pious Puritans, Boston is not quite so straight-laced these days - in fact, it's now considered one of the country's liveliest and most liberal cities. Driving from New York to Boston can be done in less than four hours, but we advise budgeting at least 3 days for your trip in total, in order to allow for a couple of stops during the journey, a decent amount of time in the city itself, and the chance explore the surrounding areas. Follow the coast on the way there, stopping off in New Haven for a wander around the beautiful campus of Yale University and a bite at the undisputed King of Connecticut pizzerias, Frank Pepe's (one to share will be enough, believe us). When you do get to Boston, take the 2.5-mile 'Freedom Trail,' a D.I.Y walking tour which will bring you to many of the city's most important historical sites. Afterwards, go for a stroll around the streets of the super trendy Beacon Hill neighbourhood - where the likes of Sylvia Plath and Robert Frost once lived - with its brownstone houses and Victorian-esque lampposts. Known as the City of Champions, Boston is blessed with some of America's most successful sports teams, including the Patriots (American football), the Red Sox (baseball), the Celtics (basketball) and Bruins (hockey), so spend the evening soaking up the atmosphere at a sports match. The next day, take a drive out to Salem, about 30 minutes from Boston, and learn about the infamous witch trials that took place here in the late 1600s. 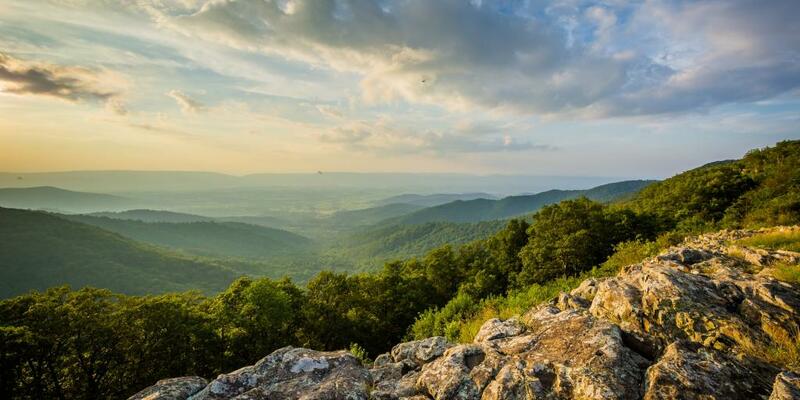 Following the ridge of the Blue Mountains - and at times cutting directly through them - the stunning Skyline Drive, in the Shenandoah National Park, is 105 miles of panoramic views, snaking roads and satisfyingly straight strips. If that doesn't tempt you, then know that it also features 75 designated scenic viewing spots, as well as access to hiking trails, bike routes and horse riding outlets. Hang around long enough to watch the sun set and you'll be handsomely rewarded. With the park being home to a varied collection of wildlife including bears, deer, wild birds and bobcats, it's not uncommon to see animals darting across the road. For this reason, there's a maximum speed limit of 35 mph all the way through the park, so allow a good few hours to travel from start to finish. Doing the Skyline Drive overnight would be pretty pointless - it's all about the views, after all - so we suggest driving to Front Royal, spending the night there and then taking the whole day to explore the trail the next day. Still, don't rule out a quick nighttime visit, as the area is amazing for stargazing. Park entrance is $30 per vehicle, but your ticket is valid for seven days; driving back, you can either double back and follow the route through the park or take the I-95 back up through Washington, maybe stopping for another short city break as you do. Everyone likes the thought of a relaxing island escape, but Chincoteague Island, which is part of Virginia, really takes the idea of switching off from real life to the next level. 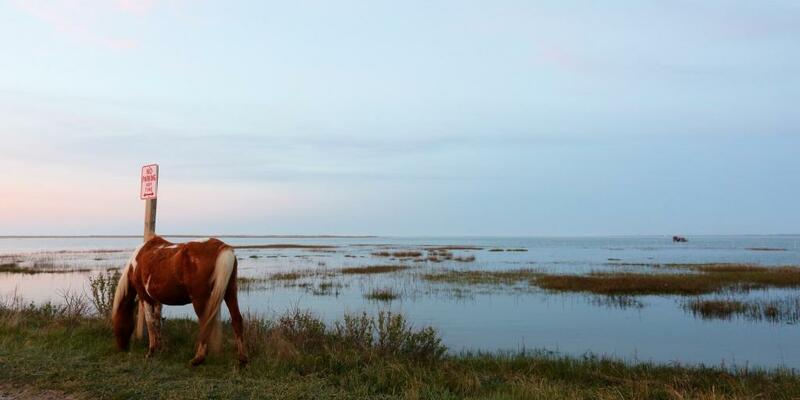 Home to the Chincoteague National Wildlife Refuge, it boasts undeveloped sands, more species of wild animals than you can hope to count, prime birdwatching and dolphin spotting territory and - most famously - brings with it the chance to see the wild ponies of Chincoteague. In town it's just as stripped back, with small guesthouses and locally-owned eateries serving mouthwateringly fresh seafood. About a five hour drive from NYC, it's not one for those who fancy an action-packed weekend, but it's exactly the absence of anything associated with your run-of-the-mill built-up beach town that makes it so special. When to visit: As soon as the weather gets warm!